The Academy has introduced Outdoor Learning this term- children in EYFS have taken part in Forest Schools but we have extended Outdoor Learning to both Key Stage 1 and 2, starting with Class 5S. All classes will have the opportunity to experience Outdoor Learning sessions through out the Academic year. 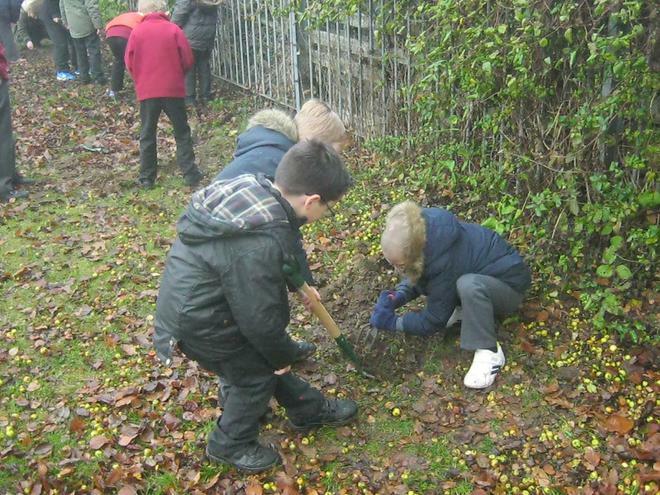 An exciting outside classroom learning experience- all year round. Outdoor learning can be therapeutic and has a positive influence on children's health and emotional well-being. Beneficial Cross-Curricular subject links including links to the Science Curriculum (growing, life cycles, PSHE (Sustainability, looking after the environment), Art (using outside materials), Nutrition/ Cooking (through planting seeds/ plants that will produce food crops and using this in Nutrition classes). These are just a few of the valuable links. Pupils are involved in decision making for improving their school grounds so the School Ethos of developing pupil voice is embedded. Pupils in EYFS (Reception) have always attended and taken part in Forest Schools in the Summer Term. Below the benefits of Forest Schools are outlined and explained. We use local facilities in Silver End and the children really enjoy attending.